1. What are the Image Keys? 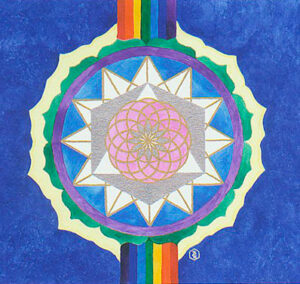 The Image Keys, including the New Earth Chakra Keys, are a series of high vibrational paintings by Visionary Healing Artist Barbara Evans. 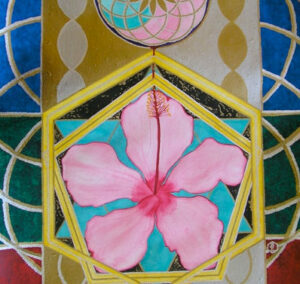 Sacred Geometry forms the foundation of each Image Key upon which Crystal Energies are woven. 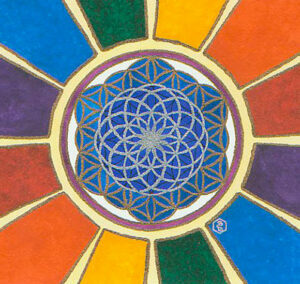 LOVE, HOPE, PEACE, UNITY and ABUNDANCE are fundamental to the essence of the Image Keys. Energetically interactive, each Image is a KEY that helps tune the human biofield. The images raise frequency, assisting us to forge a deep connection with our true essence, UNLOCK our complete DNA Blueprint and our POTENTIAL. Importantly, the frequency shifts attributable to The Image Keys can help UNCOVER our powerful capacity for SELF-HEALING. 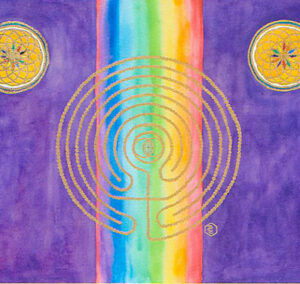 Collectively, and in combination with crystals and sacred sounds of Crystal Singing Bowls, the Image Keys provide the foundation of The Art of Raising Frequency™, a new energy healing modality which can be integrated easily with other traditional and non-traditional approaches to health and well-being. The Image Keys are available for purchase as high quality prints in various sizes – see Shopping for details. 2. 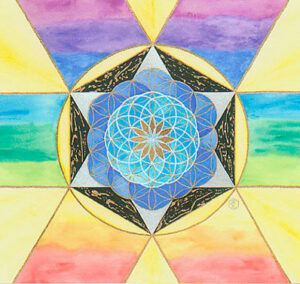 What is Sacred Geometry? 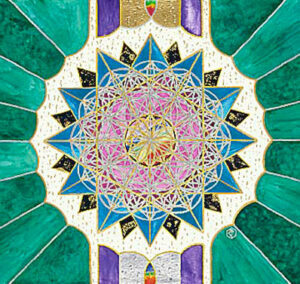 Sacred Geometry is the geometry of creation, describing sacred patterns that are associated with All that exists within our Universe. 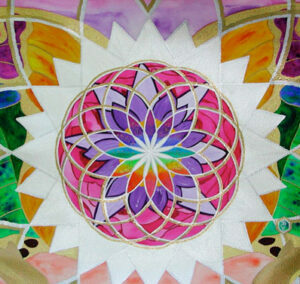 Sacred Geometry forms the basic structure of each Image Key upon which other energetic layers are woven. 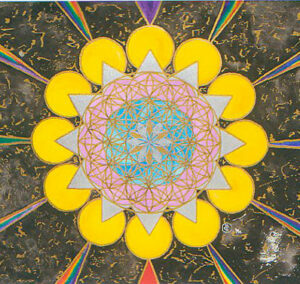 Within the Image Keys, all of the Sacred Geometry patterns are linked to the FLOWER OF LIFE. 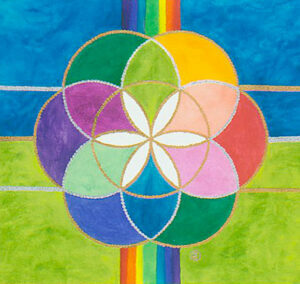 The Flower of Life is a very ancient symbol found painted or engraved in many sacred sites around the world. 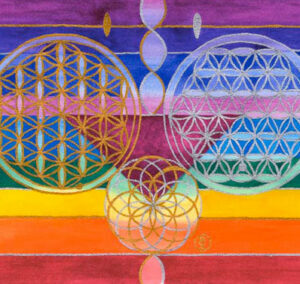 The Sacred Geometry of the Image Keys has many layers and levels; ­ this is recognized both by our energy bodies and by levels of our mind beyond conscious thought.­ This Sacred Geometry supports and inspires us without a need for conscious understanding. 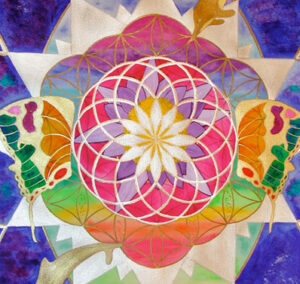 Sacred Geometry within the Image Keys contributes to their balancing nature, as Divine Masculine and Divine Feminine energies are interwoven before our eyes. This balancing effect contributes to the beneficial impacts on Wholeness and Wellness. 3. What is the UNITY SYMBOL? The UNITY SYMBOL is the most important symbol to be found within the Image Keys. 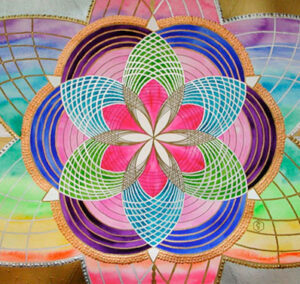 The UNITY SYMBOL weaves together both Masculine and Feminine energies to create UNITY on many levels. 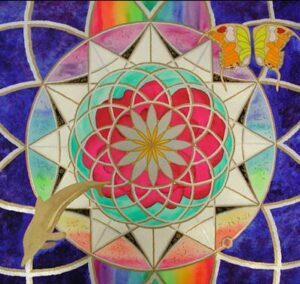 The Unity Symbol is composed of TWELVE outer circles surrounding ONE inner circle, creating a TWELVE PETAL LOTUS within the central circle. From the very first Image Key, guidance, assistance and channeled messages from Barbara’s Spirit Guides have played a vital and inspiring role in the creation of each image. 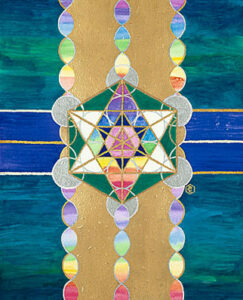 Archangel Metatron, together with Ascended Masters and other Archangels, guide each creation as the vibrations of the higher dimensions are brought into visible physical form. A Crystal Grid is built around the room in which each original Image Key is painted. This provides a sacred and protected space for the creation process, and it also contributes to the overall energy of the Image Key. Individual Crystals are then intuitively selected and their energy is actively channeled into the fabric of the Image Key as it is painted. 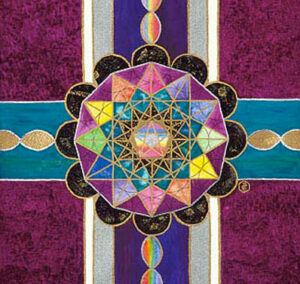 Each Crystal used during this creation process contributes its own unique healing vibration and color to the Image Key. The crystal energies work together synergistically creating a unique energy signature for each Image Key. The crystals come from around the world contributing to the global nature of the Image Keys and their ability to assist in bringing balance to the Earth. The healing tones of Alchemy Crystal Singing Bowls are being incorporated increasingly into the creation of each Image Key. The Singing Bowls are carefully chosen to complement and enhance the intentions of each piece. 5. What is the purpose of the Image Keys and The Art of Raising Frequency? We are so much more than we often realize; the purpose of the Image Keys is to help us discover who we really are, and to­ help us discover our Beauty, Strength and Wholeness. The Image Keys offer a focal point of Higher Consciousness and raise the energetic vibration of any room in which they are displayed. They hold the vibrations of LOVE, JOY, PEACE, BALANCE and ABUNDANCE and invite all in their presence to match these vibrations. The Image Keys have the potential to initiate, sustain and awaken our spiritual selves. 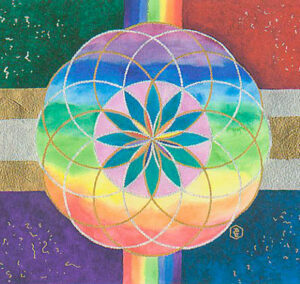 They support the full integration of our spiritual self into the physical body,­ so enabling us to BE the best we can BE. In addition, the Image Keys assist the Earth by anchoring the vibrations of the Higher Dimensions into the fabric of the planet,­ assisting with the development of HOPE, PEACE and BALANCE on EARTH. 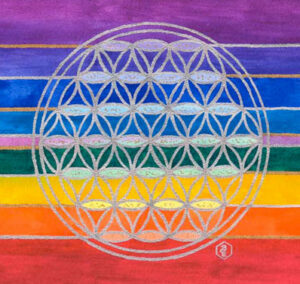 Finally, The New Earth Chakra Keys are a sub-set of Image Keys which have been created with a special focus on activating the entire Chakra System to unprecedented new levels. 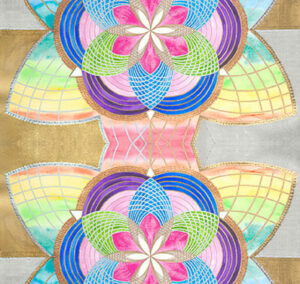 See the separate entry for these paintings on this website. 6. Who can benefit from the Image Keys and The Art of Raising Frequency? All who support a vision of our world based on PEACE, LOVE and UNITY. 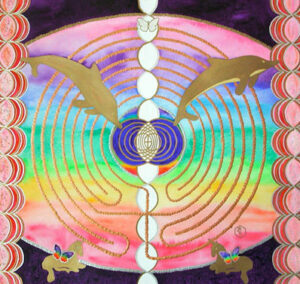 All who are searching for a more harmonious way of living and being within this world. All who wish to reach their full potential and develop UNCONDITIONAL LOVE and COMPASSION. Those who are experiencing difficulties and challenges within their life. Health Practitioners and Healers who support the wellbeing and growth of others by adopting holistic approaches to healthcare. 7. How do I implement The Art of Raising Frequency and how do I choose which Image Keys are best for me? As you look through the Image Keys, the Image Key(s) that attracts your attention the most is usually the best place to begin! If there is more than one Image Key, you can easily work with all the paintings that come forward. You cannot make a wrong choice; your intuition will always be guiding you even if you are not completely aware that this is taking place. There are TWO TRIOS within the Image Keys – these are fundamental cornerstones, and highly recommended both for personal growth and to anchor their specific gift of energies into home or work space. 8. What can the Image Keys tell me about my life? Intuitively choosing the Image Key that attracts you the most in any moment of time will give an indication of what you are working on in your life at that time. After initially making your choice, look carefully at the Image Key together with its name and Affirmation.­ The Image Keys are about self-empowerment,­ awakening, acknowledging and developing your own intuition as you grow spiritually and connect more completely with who you truly are. What thoughts and feelings arise within you as you focus upon the Image Key of your choice? The interaction between you and any particular Image Key will change over time. You will be able to access deeper levels as your life evolves, sometimes this is within your conscious awareness and sometimes it is not. The Image Keys are energetic companions for life.